It seems like no matter who I talk to, November is always a busy month. For the last six years I have been a student, and for me that has always meant that November was full of essays. So, every year I turn to Lynn Truss to remind me of all the grammar rules necessary to write anything respectable. Her book Eats, Shoots & Leaves came out years ago and was a pretty big hit right away. A grammar manifesto may not seem obviously rereadable, but Truss’ book is so much more than a reference guide. It’s kind of a story really, about how poor public grammar drove her over the edge. She chronicles misplaced and absent apostrophes (Grapes’ for sale, really? ), how text messages and e-mails are destroying our words and generally how general knowledge of proper punctuation has gone decidedly down hill. But like any good ranter, Truss is hilarious. Her background in radio comes across very clearly in her writing because, even though I’ve never actually heard her speak, I’m quite sure if I ever heard her in a public place I’d know it. If she taught grammar in high school, you can be damn sure her students would graduate knowing exactly how to use a semicolon and when to use a long-dash. Separated into handy chapters such as “That’ll Do, Comma” and “Cutting a Dash” (among others), Truss’ little manual is certainly organized to work as a quick reference work. But anytime I try to just quickly look something up I get caught by her prose and, after finishing the relevant section, end up turning back to the beginning to read the whole thing. I generally justify this to myself by thinking that grammar is something I can always brush up on. And generally, that is true. The intricacies of comma use are not something to be scoffed at. And beyond that, her general discussion about how all the punctuation marks we know and love came to be, and how their use has changed (or not changed) over time is really fascinating. 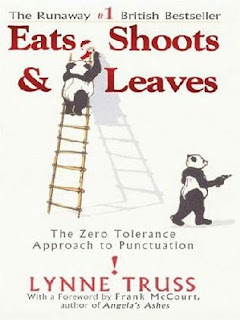 I am a self-professed grammar nerd, so it goes without saying that books such as Eats, Shoots & Leaves appeal to me. 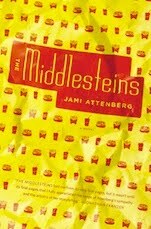 But it’s written for a much broader audience than just the sticklers Truss aims to unite—anyone who has ever written anything, or who enjoys sarcasm, or just enjoys a good laugh will enjoy this book. Yes, it’s educational, but Eats, Shoots & Leaves will also absolutely make you laugh out loud, setting it apart from almost every other book you’ll find in the reference section of your local bookstore.